Liverpool is best known for its unique maritime history and unrivalled musical heritage. Built upon fascinating foundations, it’s no surprise that the city is always leading the way with innovative ideas. At Signature Living, we’re proud to have paid a significant contribution to the city’s growth over the past ten years. With the rapid expansion of our business, we’ve been able to create hundreds of diverse job opportunities across the city, from creative roles in our office headquarters to construction jobs and hospitality work. We also play an integral role in Liverpool’s growing tourism industry. Liverpool is one of the most visited cities in the UK by international and domestic tourists; visitors from across the globe are drawn to Liverpool’s unique heritage and flourishing culture. Signature Living is the name behind some of Liverpool’s highest rated hotels and apartments, each offering something completely unique. We’re thrilled to have an impressive occupancy rate throughout the year. 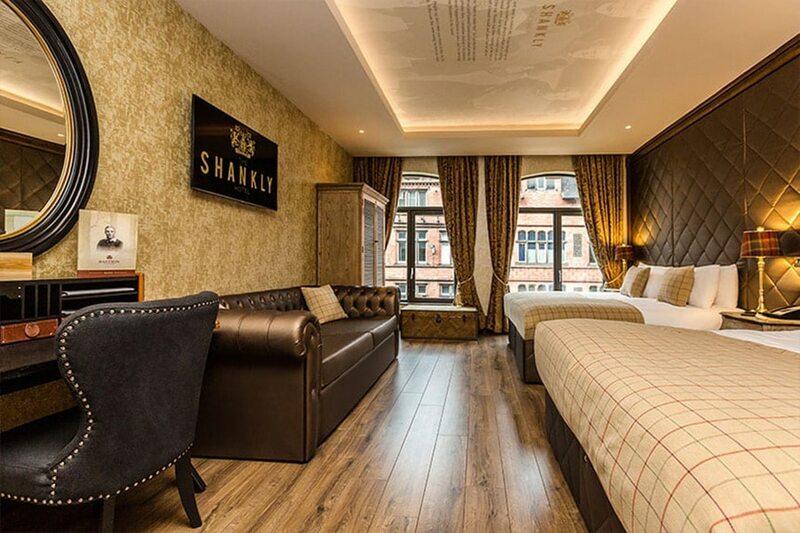 The Shankly Hotel, for example, welcomed over 60,000 guests in 2017 alone. Signature Living began with a vision to bring Liverpool something that the city simply hadn’t seen before. Signature Living founder Lawrence Kenwright saw that Liverpool needed a fresh take on accommodation. At the time, Liverpool had its fair share of successful hotels, but none that really dared to do things differently. The notion of thinking outside of the box became the foundation of Signature Living. 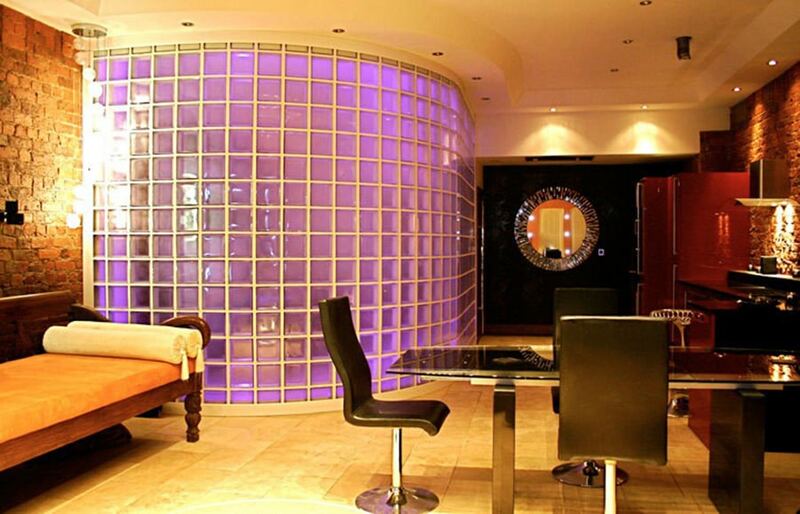 After a series of unsatisfying stays, in 2004 Lawrence decided to create the hotel experience he’d always wanted to see. Spotting a broad gap in the market, Lawrence and his wife, Katie Kenwright set out to bring the city a stylish, spacious alternative to luxury accommodation. The plan was to create hotel apartments that slept groups of guests in search of something special. Passionate about their plans, Lawrence made the decision to sell his retail business and purchased Signature’s first building in bustling Victoria Street. 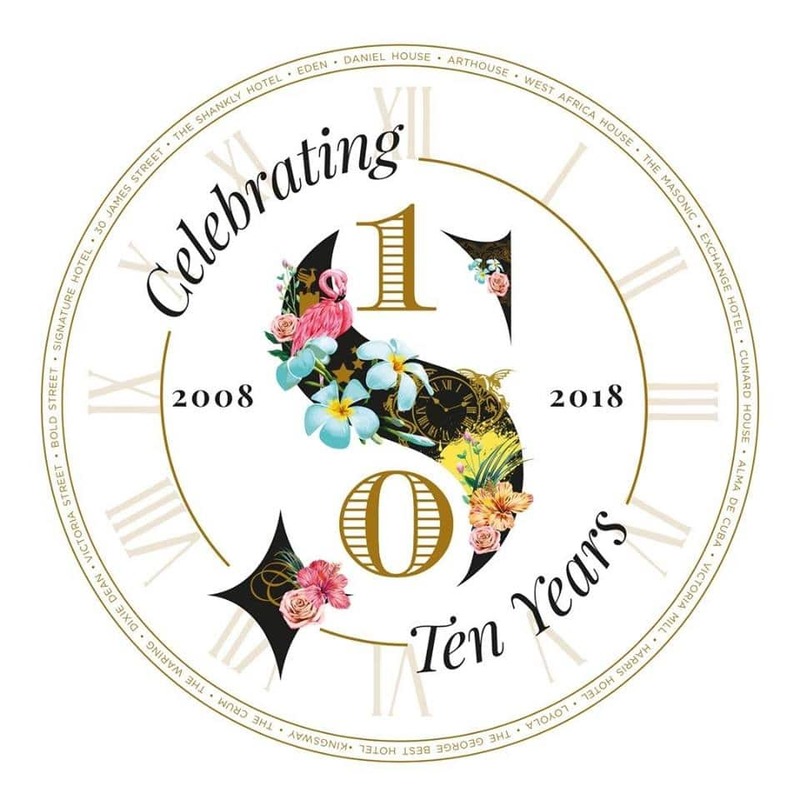 After four and a half years of planning and designing, the Kenwright’s proudly opened the doors of their first serviced apartments on 23rd August 2008. The beginning of their new venture was far from smooth sailing. 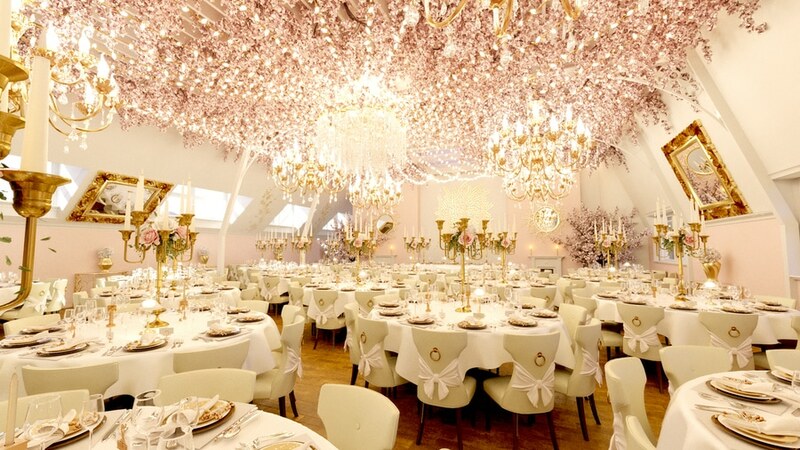 At first, there were only two people working to offer guests an unrivalled experience. One of those people was Katie herself, and while the hotel may have got off to slow start, the hard work certainly paid off. Victoria Street was a success, proving to be the catalyst to what Signature Living is today. Lawrence and Katie realised that Signature Living were making their mark on the hotel industry, with luxury party apartments filling the gap in the market. The second Signature Living building opened to guests in 2011. Located along Liverpool’s famous Mathew Street, the new venue was based in another prime location for nightlife. 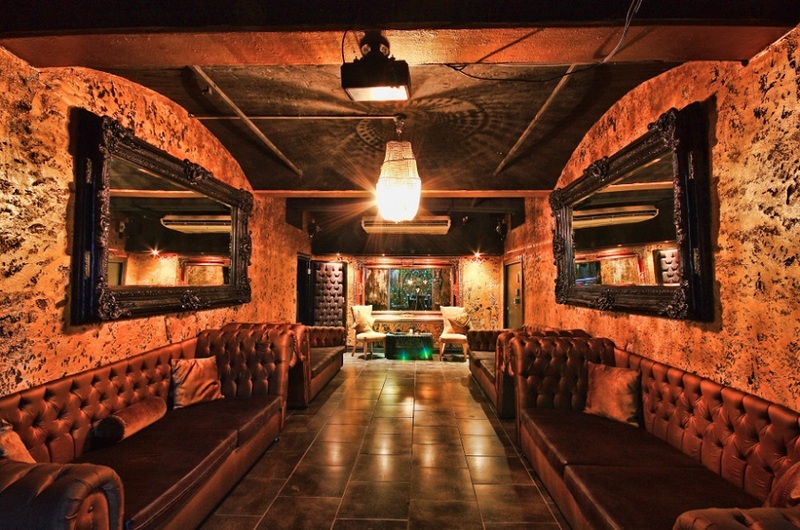 Only moments from the world-famous Cavern Club, the stylish spot proved to be another stepping stone to success. From 2011-2013, Signature Living created a multitude of new party apartments and hotel rooms. Based on Bold Street and Stanley Street, each offered guests something bold and brilliant. The Masonic on Bold Street is based in the former Masonic Bank. Maintaining many of the building’s original features, the unique apartment even features the historic vault and original range cooker. This was the start of Signature’s desire to celebrate the history of unique buildings. A growing passion for history saw the Kenwrights acquire Albion House, a Grade II* listed building that once served as the White Star Line’s headquarters. The White Star Line was the world famous shipping company behind RMS Titanic. The building is a treasured symbol of Liverpool’s rich maritime heritage. Upon stepping inside 30 James Street, guests fall head over heels for ornate original features and an opulent ambience. Designed by architects Richard Norman Shaw and J. Francis Doyle in 1896, the architecture is simply breathtaking. Fuelled by a desire to restore the building to its former glory, Lawrence and Katie were set on preserving the best of the venue to pay homage to Titanic’s past and recreate the elegance of luxury ocean liners. Signature Living opened 30 James Street – Home of the Titanic in April 2014. Each room within the hotel celebrates a connection to the White Star Line or RMS Titanic, ensuring each guest enjoys a unique stay. We also opened Carpathia Champagne Bar & Restaurant, which was fittingly named after RMS Carpathia after the Cunard ship that rescued the 705 Titanic survivors on 15th April 1912. At Carpathia, guests can enjoy delicious dishes and drinks on Liverpool’s first rooftop bar, whilst taking in the spectacular views of Liverpool’s waterfront. We were also delighted to open Morgan’s Spa, allowing guests to indulge in a spot of pampering with a wide range of treatments and packages. Set to bring Liverpool the world’s first Football Quarter, this unique venture began with The Shankly Hotel. On 15th August 2015 we opened the doors to a new hotel celebrating the life and legacy of football icon Bill Shankly. Loved by the people of Liverpool and across the globe, it seemed only fitting to open a hotel as a tribute by the late and great manager. In partnership with the Shankly family, we were thrilled to welcome guests to the stylish hotel and The Bastion Bar & Restaurant. While visiting the hotel or restaurant, guests can enjoy an exclusive range of memorabilia donated by the Shankly family. Our fascinating collection includes everything from Bill Shankly’s original LFC contract to his personal typewriter, letters and clothing. The Shankly is also a favourite for hosting special celebrations, from birthdays and weddings to baby showers. 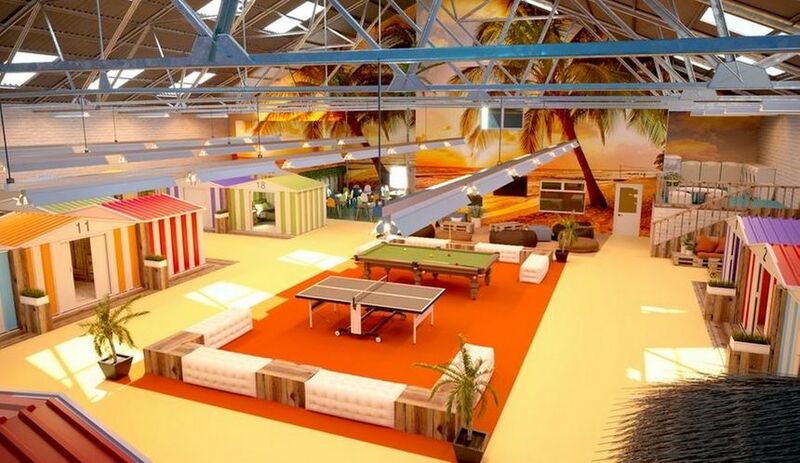 Our two events venues include spacious rooftop venue Garden of Eden and smaller venue Baby Eden. The Football Quarter is expected to be completed by the end of the year. The exciting plans will see The Dixie Dean Hotel open across from The Shankly, celebrating the friendly football rivalry between Liverpool and Everton FC. Over the last few years, Signature Living has become a leader in heritage developments. Taking on large-scale projects that other developers have run from, The Exchange Hotel was certainly one of our most challenging projects to date. This ambitious development also took the Signature brand outside of the North West. Our first project in Wales saw Cardiff’s iconic Coal Exchange sympathetically restored to its former glory. The decision to restore the exquisite Grade II* listed building grew from a love for Welsh heritage and this spectacular venue. Situated in Mount Stuart Square adjacent to vibrant Mermaid Quay, we saw the endless potential of this 180,000 square foot site. The former Coal Exchange was treasured by local people, but had fallen into a state of disrepair and been left empty for years. 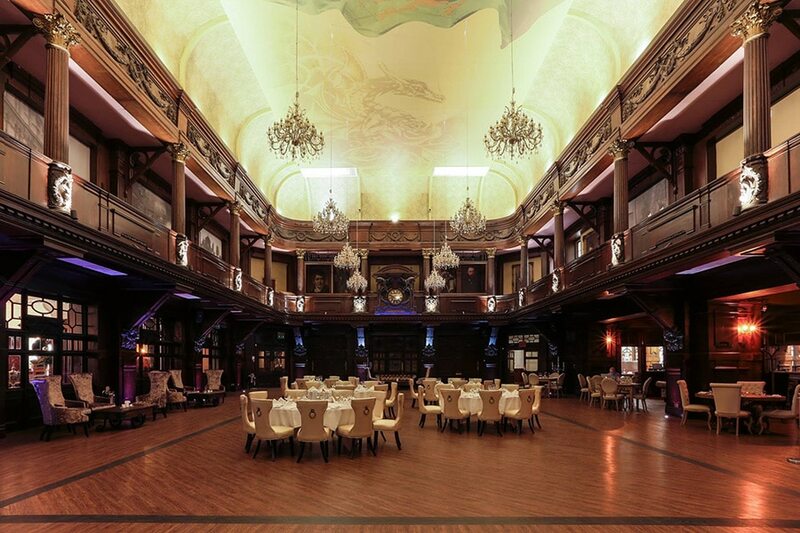 Transforming the property into a luxury hotel and unique events venue, we kept the goal to preserve the building’s rich history at the centre of each decision. And we were proud to open the doors to the iconic Coal Exchange once again in 2017. This particular restoration was a momentous moment of the Signature Living journey. With the success of The Exchange, we set our hearts on acquiring more heritage buildings across Wales and Ireland. While our focus has spread further afield to heritage developments, the party side of Signature Living is bigger and better than ever. Opening an array of Signature Suites within The Shankly Hotel, our party rooms have taken a fantastic new direction over the last couple of years. Our most recent Signature Suites have been designed with dazzling decor guaranteed to sweep guests off their feet. The Garden of Eden suite is a particular favourite, and it’s easy to see why! 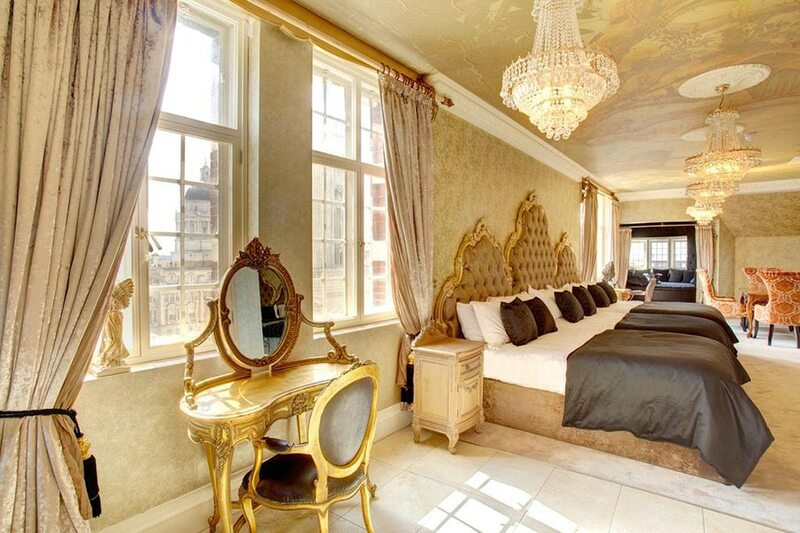 This heavenly suite offers an ethereal hideout in the heart of the city centre. 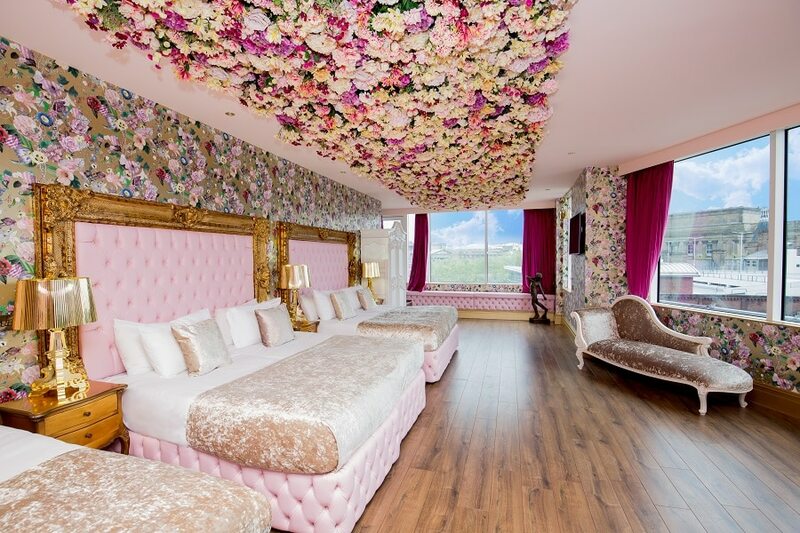 One of the most impressive features of this spacious suite is the enchanting Joseph Massie flower ceiling complete with 2,500 individual flowers. A picture-perfect paradise, the creative design also features beautiful walls designed by French fashion designer Christian Lacroix. 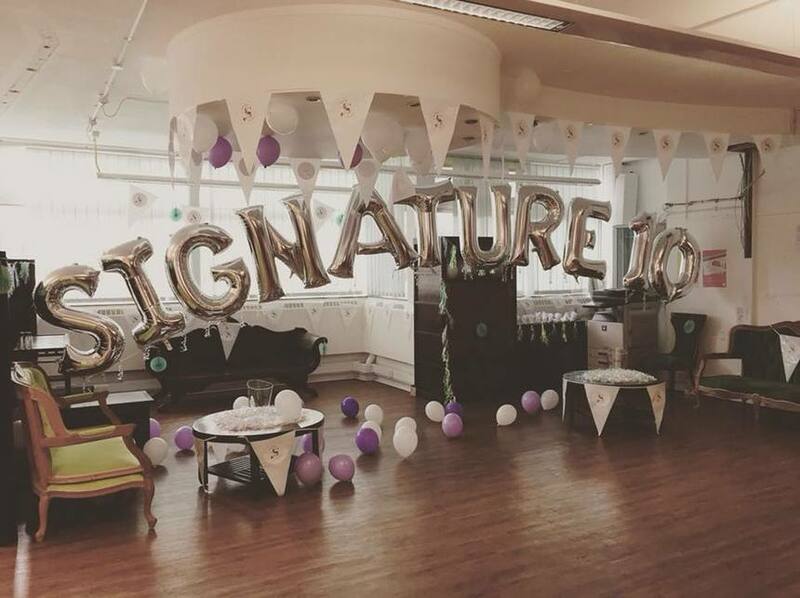 As you can probably tell, there’s no slowing Signature Living down, and we cannot wait to see what the future brings for the company. We have various projects in the pipeline that we cannot wait for our guests to experience. Branching out into Ireland is a significant step for the company. 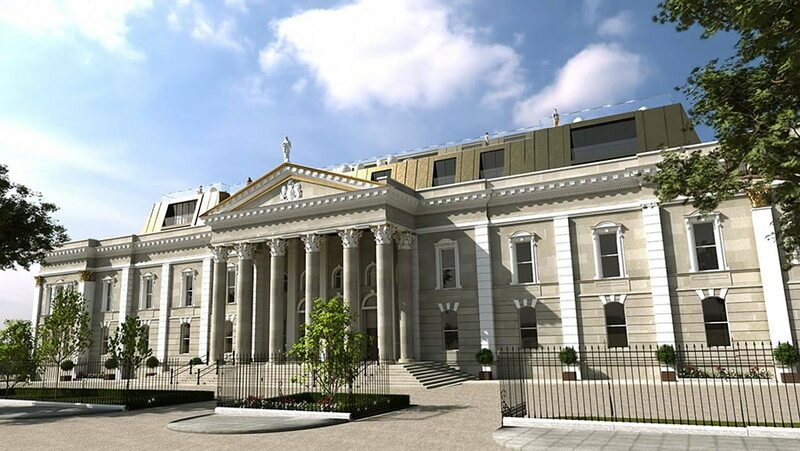 One of our most exciting current projects will see Belfast’s historic Crumlin Road Courthouse restored from dereliction. The striking building is full of potential with an expansive history to explore. Opening The Crum Hotel will certainly be one of our most challenging developments to date, but the challenge is what will make the result so special. We’re also busy behind the scenes preparing to bring Belfast a football-themed hotel celebrating a Northern Irish icon. The George Best Hotel will open in the Scottish Mutual building, opposite Belfast City Hall. Following a similar format to The Shankly Hotel, we’re working closely with the Best family to create a fan experience that simply can’t be found elsewhere. Exclusive to Belfast, the hotel will also be home to exquisite wedding and conference venues. Football fans will also be pleased to hear that we recently announced our decision to bring the Shankly brand to Preston. Paying tribute to Bill Shankly’s football roots with Preston North End, the upcoming hotel will without a doubt enhance tourism for Preston and bring the city something truly special. To enquire further about staying at a Signature Living venue, please don’t hesitate to reach our team on 0151 601 8801. We have a wide range of special offers to choose from, ensuring you can make the most of your Signature experience. In the meantime, why not check out our Biggest Ever Giveaway competition? Celebrating 10 years of Signature Living, we’re giving you the opportunity to win life-changing prizes each month. Could you be one of our lucky winners?